It's like I'm walking on a wire, this sunless sky won't wake me. 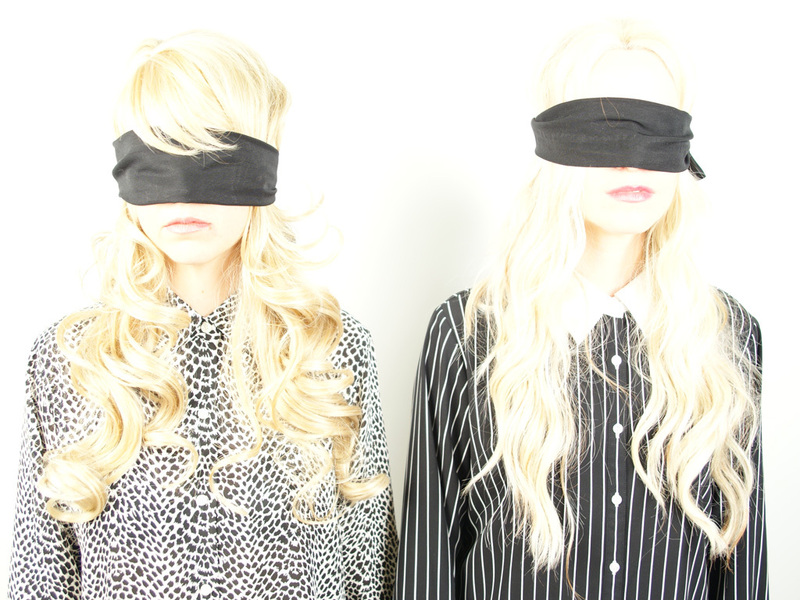 The Casket Girls is a new three-piece band hailing from Savannah, GA. Comprised of Ryan Graveface (Black Moth Super Rainbow, The Marshmallow Ghosts, Dreamend) who wrote and played all the song structures, and newcomers, Elsa and Phaedra Greene, who wrote and performed all of the vocals. On Sleepwalking, the band’s first release, the unique collaboration bears to be more than the sum of its parts - as the girls’ haunting and upbeat pop sensibility imbues Ryan’s inspired instrumental musings with such a sense of purpose that you must wonder how one could exist without the other. But, The Casket Girls happened - as most things do - by accident. Ryan was visiting his future home, and in walking through one of the city’s 22 squares, he happened upon two girls playing autoharp and singing bizarre songs. He watched from afar, eventually approaching them with the idea for the band. Ryan had been (and still is) obsessed with the Shangri-las, and the sisters personified his desire of a far darker and more complex version of the 60s group. The band’s debut album, Sleepwalking, came about rather quickly. Ryan sent Elsa and Phaedra 20+ songs he thought they could add to, and they came back with vocals for 15 of them. He asked TW Walsh (Pedro the Lion, Soft Drugs, Headphones) to throw down some substantial drums to contrast the weaker drum machines he had already recorded, and the album was finished. Sleepwalking has a number of exceptional tracks that are sure to be anything from radio hits to jams blasted in the privacy of a nerd’s home. “Heartless” is a driving, yet depressive disco. The title track is a sweeping epic with bleakly resolute lyrics.